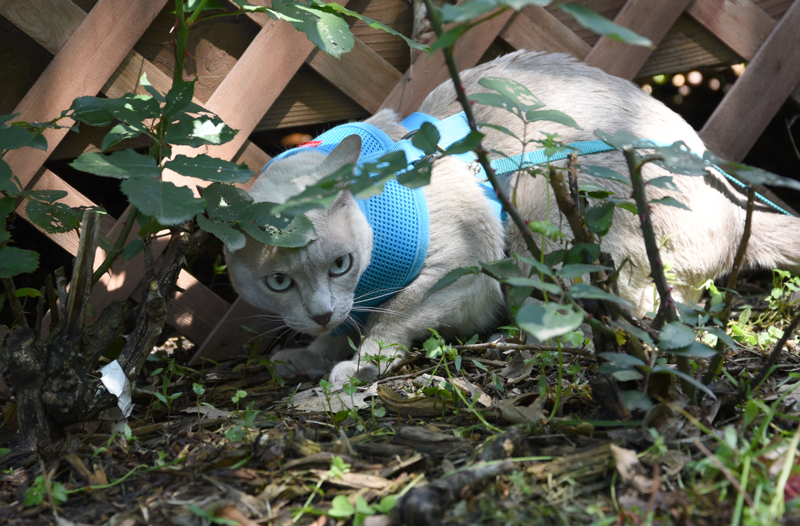 When prowling the wilds, be sure to blend in as much as possible. You never know what prey might be lurking behind the unsuspecting rose bush. 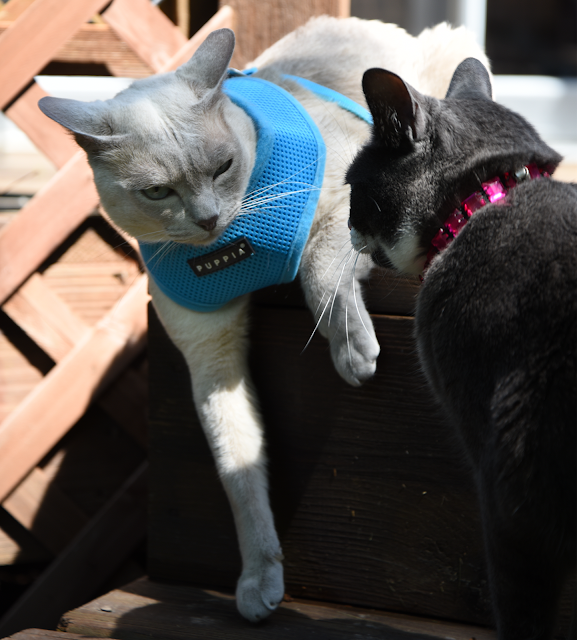 When did you get a harness, Faraday? You look SO handsome in it!!! All I have is a stinky lil sister. 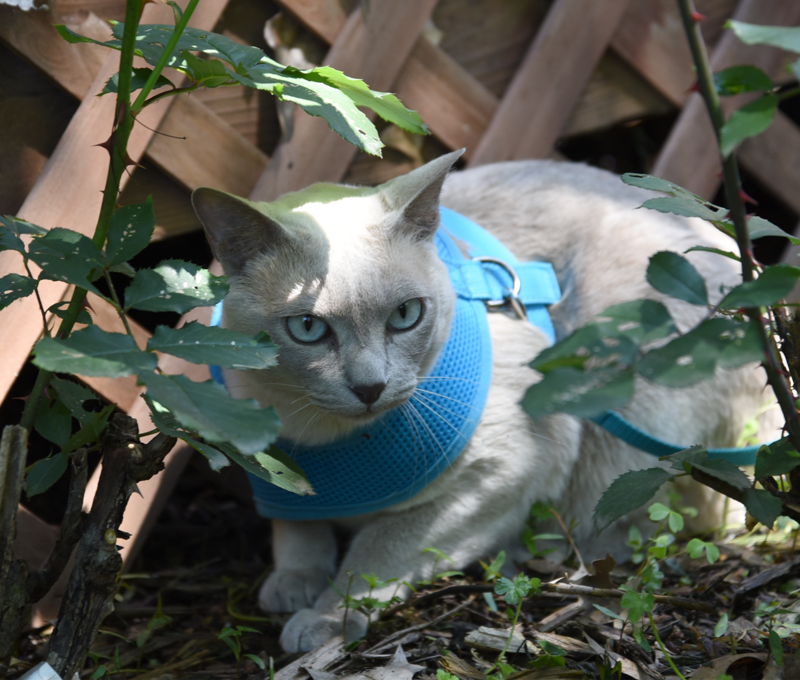 That looks like MY harness, only in boy blue! With THAT collar? But its not YOUR fault. It looks like Allie ambushed you! Waitaminit....does it really say PUPpia???? Dat said, yoo gotta do what yoo gotta do to get out in da world,and it look nice on yoo...Mom is letting me on da balcony under strict snoopervision of course...it nice to smell da smelly smells! Faraday your blue harness matches those gorgeous blue eyes and your Mom takes such great photos! Someone has a new harness! How nice that you can go outdoors, even if you are harassed by your sister. Faraday! mes never noticed Allie there yous was looking so good! Isn't that the worst when siblings ruin the fun! OK, when did you become “Maxwell Faraday Richman” when Allie is the most important cat in the house?